How might we construct a pedagogy of play? What habits of mind, tools, and dispositions are required to do so? How might a pedagogy of play support children? What are the costs of not embracing a pedagogy of play? How might a pedagogy of play be expressed in different contexts? What systemic elements sustain a pedagogy of play? Those two readings were created apart from our study – and we’d like to use the vast and varied perspectives of all of you to create new texts related to our questions. We’re hoping that as you think about the big questions we’ve proposed, you’ll share your thoughts with each other through the course group page and forum. You might enter your reflections, ideas you hear expressed in these presentations that feel powerful, links to other relevant texts, photos – you name it. 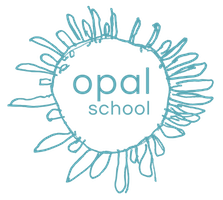 As with all content on Opal School Online, course content is copyrighted and all rights are reserved. We are a not for profit organization dedicated to strengthening education by provoking fresh ideas concerning environments where curiosity, creativity and the wonder of learning thrive. Please think before you share. Your support allows us to continue. And we thank you for it! This course is offered exclusively to Opal School Online members. Not yet a member? Join us! How Are Children Benefited by a Pedagogy of Play? What gems shall we put in our pockets? Navigating the space "in between"